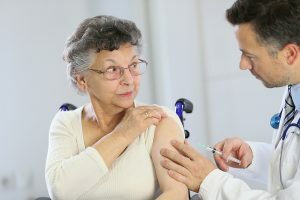 If you or a loved one requires pneumonia treatment, it is important to visit a state-of-the-art facility in The Woodlands, Texas, with a highly experienced staff. Pneumonia, though highly treatable, requires specialized care from a skilled provider to cure. At Davam Urgent Care, every patient is seen by a board-certified medical provider who is committed to upholding the highest standard of care. Furthermore, pneumonia treatment at Davam Urgent Care is usually more convenient than the alternatives. Our office is open every day from 8 a.m. to 9 p.m., and there is little-to-no wait time to be seen by a medical provider. We also offer in-house diagnostic testing, such as X-rays and lab tests, so you can receive an accurate diagnosis and treatment all under one roof. Visit Davam Urgent Care in The Woodlands, TX, for pneumonia treatment from a compassionate provider. Don’t forget to sign in now using our online check-in system, which can reduce your wait time at our facility.